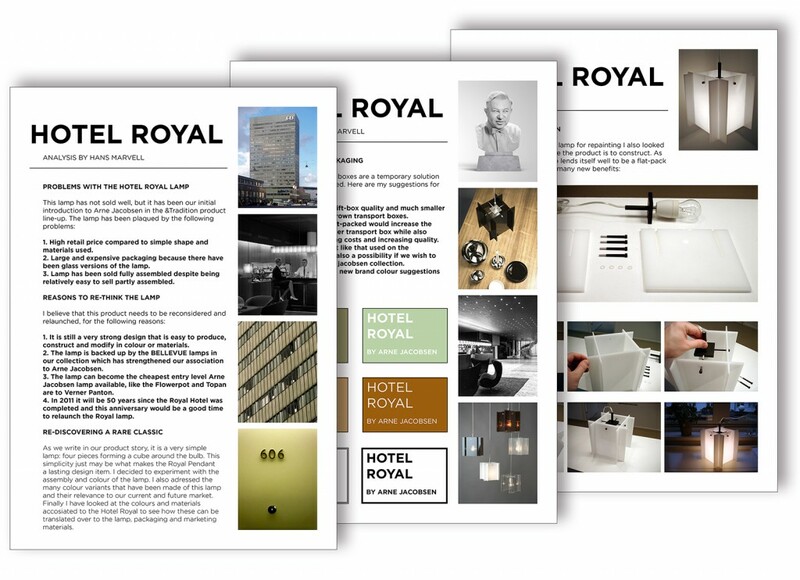 It was a lamp originally made in very few numbers for the SAS Royal Hotel in Copenhagen in 1956 and never a commercial success on the private market when it was being made by Louis Poulsen A/S. The cost of production and the retail price was far too high, which resulted in slow and low sales volumes. I researched the original version of the lamp and questioned the decisions that had been made at &Tradition to evolve more color variants from the design. I analysed the construction of the lamp and made a sample with matt black metal frame to look more like the original version made for the hotel. I collected my findings and research in a report which also included packaging proposals, color suggestions for the graphics, and pricing examples for the production and recommended retail price. 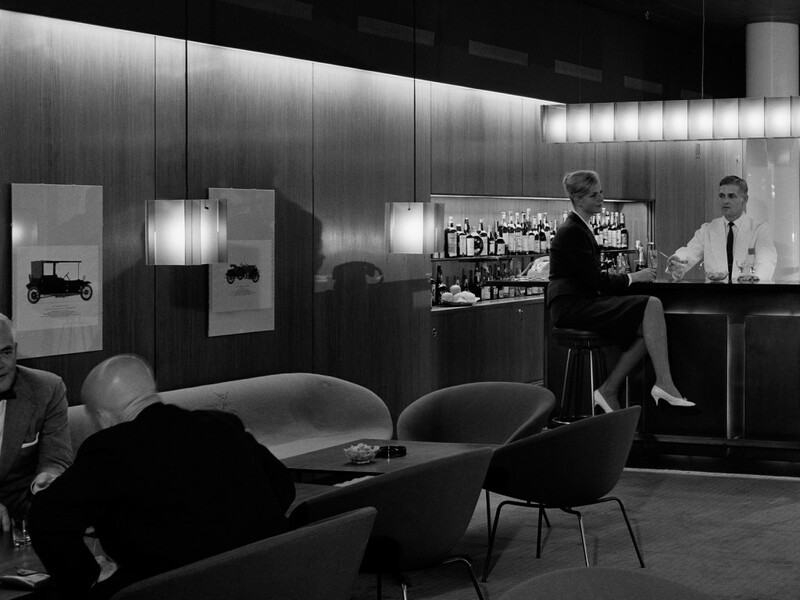 The original Royal hotel bar as seen in 1960, featuring the very first bespoke lamps. A standard brushed steel and matt white Royal pendant I resprayed and dismantled to analyse its construction. 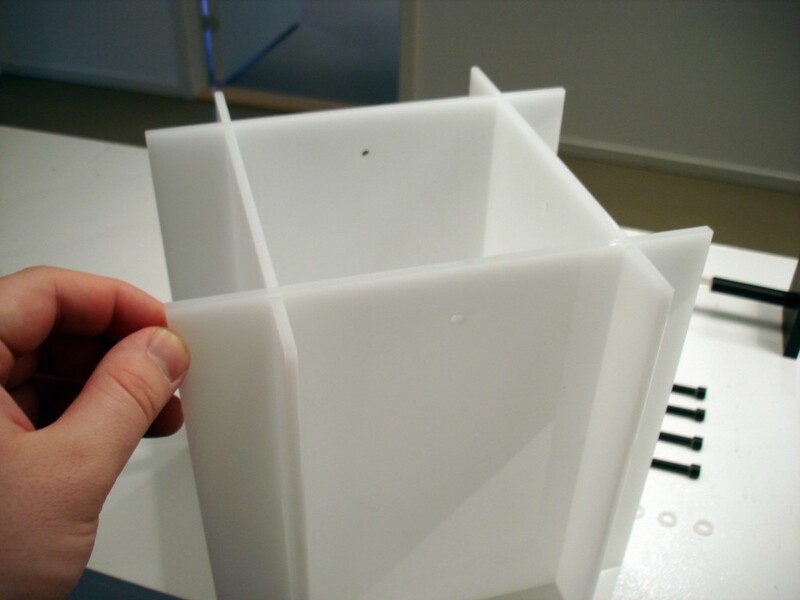 The four acrylic sides of the shade are very simple to manufacture and assemble, but total cost of assembly and packing was too high due to it also being made in low volumes. 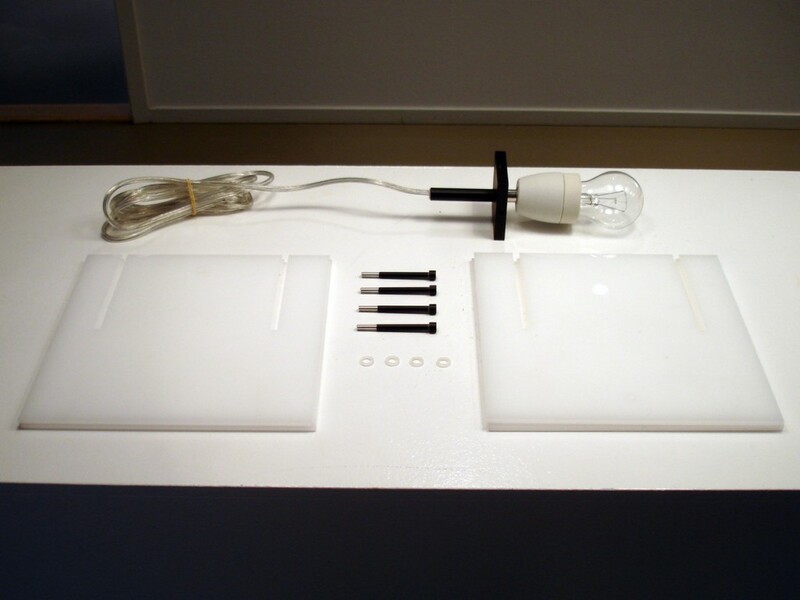 All the components for the Royal pendant lamp, including some standard plastic washers and screws. This lamp was in my opinion not too difficult for the customer to assemble given a good manual and an included tool. 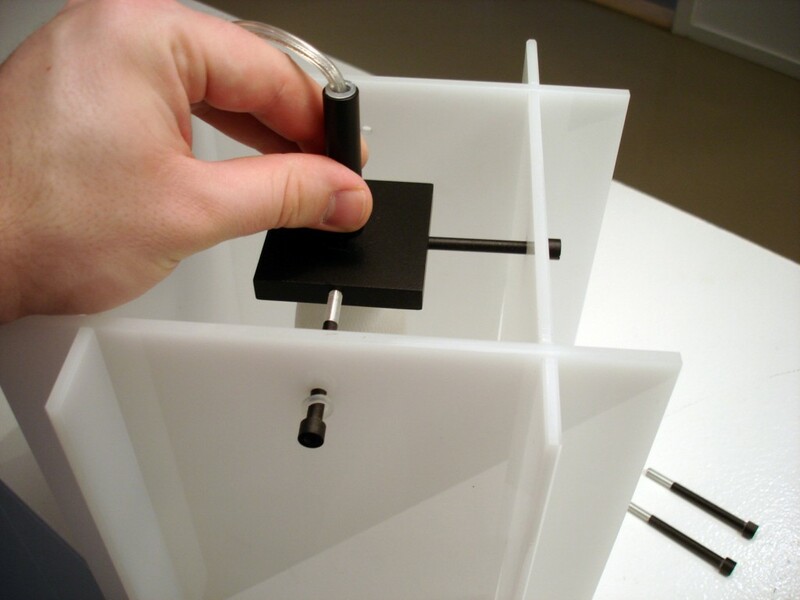 The matt white acrylic was also the only true version of the lamp and far easier to handle than the glass shades that had also been made by &Tradition. 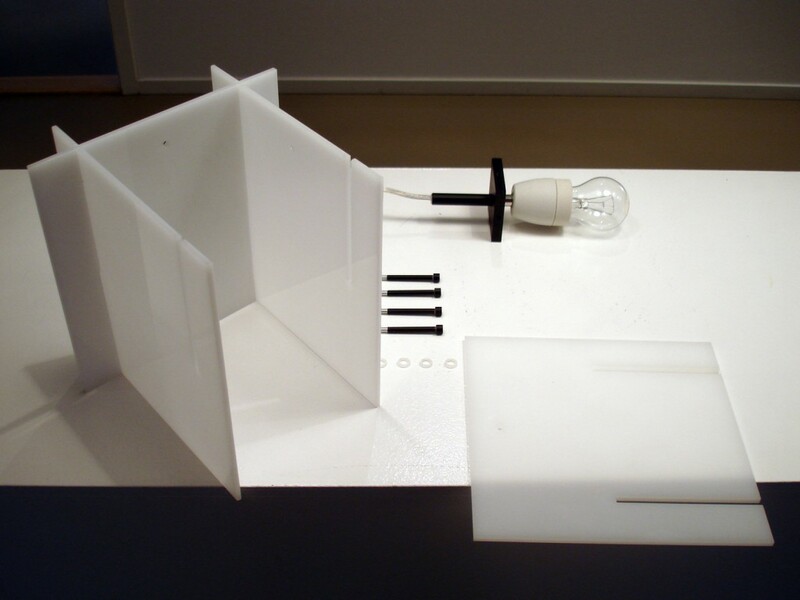 The lamp was light and lends itself to be flat packed. 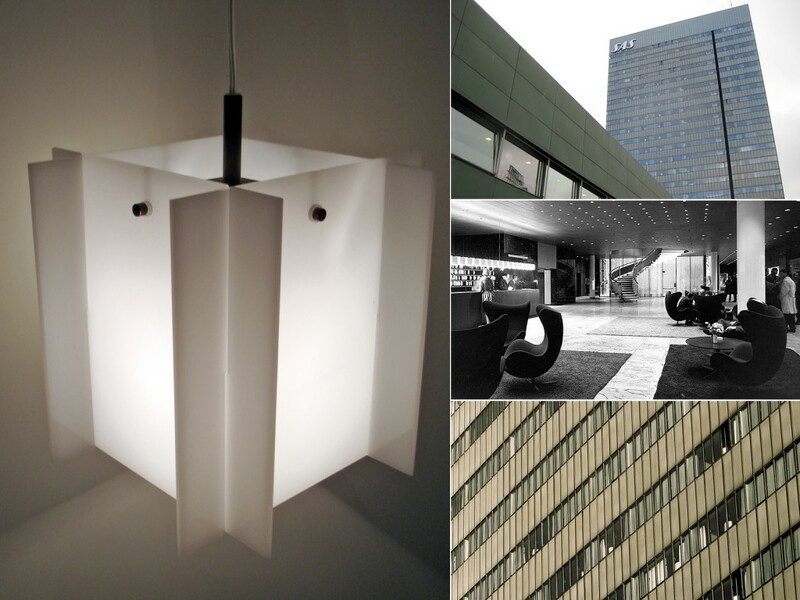 Based on my calculations, the Royal pendant lamp could not only be produced at a far lower cost, but would also become the cheapest available of all Arne Jacobsen’s lamps on the market. I saw this as being an ideal way to get a little known design back on the market as the most accessible lighting product by the world famous designer. Despite my efforts, my suggestions were not implemented and the lamp was taken out of production to make room for new designs in the collection. It seemed my suggestion and work was simply too late in the life of the product which is a shame as I personally like this simple design. To my knowledge &Tradition retain the rights to the design but have no plans to reintroduce it into their current collection.